A slightly more energetic walk that Castlepoint Lighthouse. There is a gentle loop walk from the carpark south round the hill above the bay, with an optional loop (which is unsuitable for bicycles) on to the rocky headland offering great views. This part of the walk is steeper, and there is no handrail at the top so be careful in windy weather (it is a long way down). The loop track continues back along the beach to the carpark. From Castlepoint carpark, the start of the walk is signpost just past the church (St Peters by the Sea). 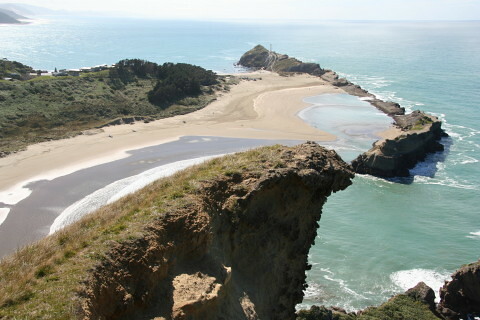 Castlepoint is 60 km east of Masterton.